← Whither the Delta economy? 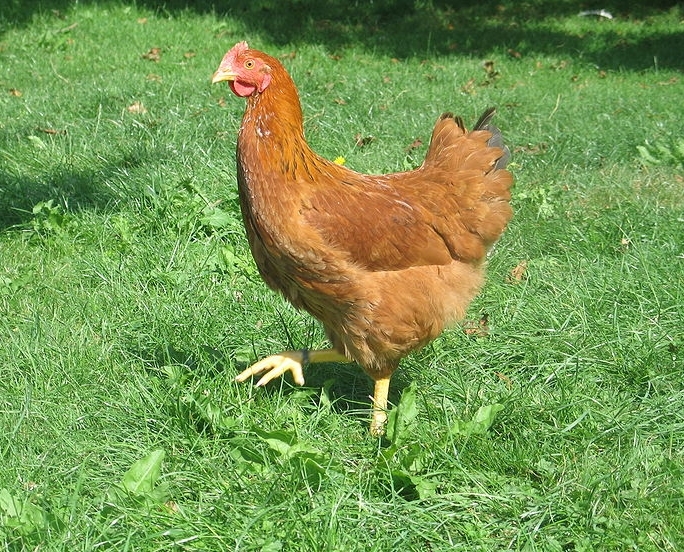 Chicken photo courtesy of Jose Maria Plazaola, Wikimedia Commons user. Water management is often very different from what we think intuitively, or what we have been taught. Here are some examples. 1. Most water decisions are local. Water policy and management discussions often seem to assume that state and federal government decisions and funding are the most important aspects of water management. This is not nearly true. Historically, culturally, and practically, most water management in California and the U.S. is local. There might be a dozen or more state and federal agencies, but there are thousands of local water, drainage, sanitation, and irrigation districts and millions of households and businesses. Local demand, supply, and operating decisions are the most important parts of water management, and where most innovations in water management originate. 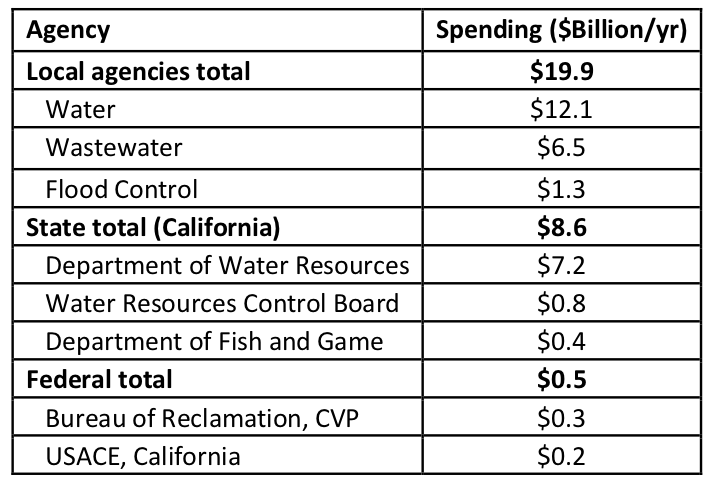 Due to the substantial build-out of large water projects, lack of water policy consensus, and debilitating state and federal budget deficits, local decisions, funding, innovations, and leadership are likely to become still more important in California and the U.S. Table 1 below illustrates this situation well. 2. Changes in technology change optimal management institutions. In early times, it became clear that local institutions were needed to construct and maintain local water management systems (Pisani 1984; Kelley 1989). In the late 1800s, irrigation districts, reclamation districts, and local water utilities emerged to fill these functions more efficiently than individuals or private firms. When larger regional and statewide water systems involving major reservoirs and conveyance systems spanning the state became needed (or at least desired) in the early 1900s, state and federal agencies were developed to manage the planning, construction, and operation of such systems. Today, major storage and conveyance systems are largely built, and innovative water management is dominated by, water conservation, water markets, conjunctive use, water recycling, and other techniques where local agencies have comparative advantages, and state and federal agencies have different and largely diminished roles (Hanak et al. 2011). Institutions should change to make best use of the most economical and appropriate mix of technologies for managing a system. In California, this means that local agency efforts need incentives to be better coordinated and better serve some regional and statewide objectives. Outside of this, state and federal agencies have diminishing roles following the age of large-scale infrastructure construction. The least controversial and most politic and economical choice here is to study the problem for a long time and rarely release substantial reports on the subject. This neatly dampens most of the controversy, while keeping agencies and consultants well funded and out of trouble. However, studying the problem forever has a financial cost, and arguably greater costs from dissipating analytical expertise, avoiding more serious discussions, and loss of technical integrity in government agencies. 4. Self-optimizing systems. Water users adapt to long-term management, and tend to make optimal any given long-term infrastructure and operations. Controlling floods with reservoirs and levees for some years leads people to settle more in floodplains (White 1945). Such encroachment sometimes can make it more difficult to use the official flood channel capacity and can further constrain water system operations. Outside of California, another example is the tendency of inland thermal power plants to build cooling water intakes at the lowest historical regulated water level. During a drought, this inflexible high-value demand for water elevation now requires awkward releases of scarce water from upstream. The power plants don’t need the water, just the water elevation. A similar effect occurs with boat ramps on reservoirs during droughts. The recreational drought is often not so much a lack of water or lake surface area, but insufficiently long boat ramps for drought conditions. Smart water users adapt to any operations, and force us to retain long-standing operations, which might not have been optimal initially. This implies costs for making transitions and responding to unusual drought or flood conditions. Water management is not just on the supply side; the reactions and long-term decisions of water users are just as important. 5. Small shortages sometimes create disproportionately large costs, with disturbing implications. Usually we assume, and it is often the case, that larger shortages lead to ever-increasing water shortage costs. Doubling a shortage more than doubles shortage costs. This is true for most water demands that are well-managed and experienced with shortages, since only a fool would short higher valued crops or functions first. However, for urban and small commercial water users, even small shortages impose a significant “hassle cost”, requiring the users to figure out how to deal with the shortage, and distracting them from other valued activities. 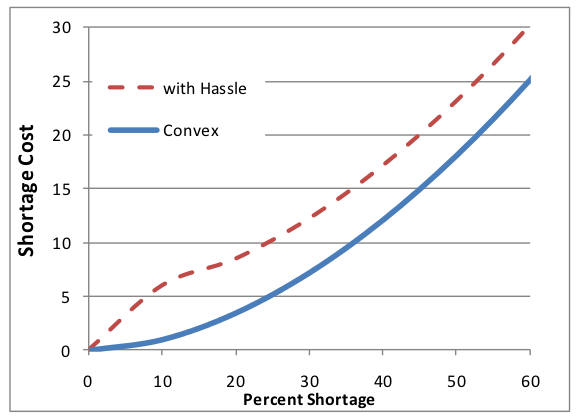 In economic theory terms, this means the first units of shortage are more expensive than the later ones (non-convex shortage costs). You can see glimmers of this behavior in some attempted contingent valuation studies of urban water shortages (Barakat & Chamberblin 1994). 6. Chicken and cooperation in regional water management. We like to think that if everyone can be shown a win-win alternative, that all stakeholders will jump on board in support. But frequently this does not happen. Why? Often, one or more stakeholders will stall such an agreement to improve their share of win-win benefits. The strategy here is to deny they would be better off with the win-win solution and then ask for more. When enough stakeholders have incentive for this behavior, a “chicken game” results where everyone is getting worse off while bargaining to do better for themselves (Madani and Lund, in press). This essay is adapted from part of the acceptance speech for the American Society of Civil Engineer’s 2011 Julian Hinds Award. Kelley, R. 1989. Battling the Inland Sea. Berkeley: University of California Press. Madani, K. and J.R. Lund, “California’s Sacramento-San Joaquin Delta Conflict: from Cooperation to Chicken,” Journal of Water Resources Planning and Management, in press. This entry was posted in California Water, Economy, Floodplains, Planning and Management, Sacramento-San Joaquin Delta, Water Conservation and tagged California, chicken, economics, Jay Lund, Sacramento-San Joaquin Delta, UC Davis Center for Watershed Sciences, water demand, water management, water planning, water supply, water systems. Bookmark the permalink.